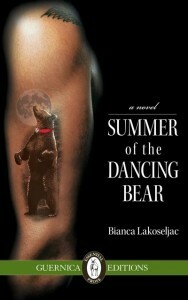 At Word Up, January 14th, we’ll hear Biance Lakoseljac & Debbie Ouellet read for us. Bianca Lakoseljac is the author of a novel, Summer of the Dancing Bear, a collection of stories, Bridge in the Rain, (Guernica Editions, 2012, 2010), and a book of poetry, Memoirs of a Praying Mantis (Turtle Moons Press, 2009). She has taught at Humber College and Ryerson University, and is past president of the Canadian Authors Association (CAA) Toronto Branch. She sits on the Book and Periodical Council’s Freedom of Expression Committee and is a member of The Writers Union of Canada’s National Council. She is also a member of PEN and The League of Canadian Poets, among other writers’ associations. Her work has been published in various literary journals and anthologies such as Canadian Woman Studies, Inanna Publications; Migrating Memories: Central Europe in Canada; War of 1812 Poetry and Prose, edited by John B. Lee; and 50+ Poems for Gordon Lightfoot, published by the Stephen Leacock Museum. 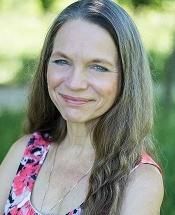 She has judged national literary contests such as the National Capital Writing contest, the Canadian Aid Literary Award Contest, the Dr. Drummond Poetry Contest, and has served as a juror on panels for the League of Canadian Poets and the Writers Union of Canada. Bianca gives creative writing workshops at writers’ festivals and libraries in Toronto and the Georgian Bay area. http://www.guernicaeditions.com/ or www.biancalakoselac.ca. 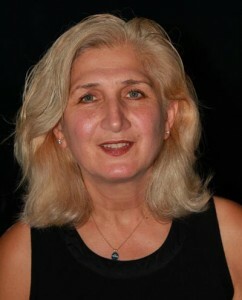 Author and poet, Debbie Ouellet lives in Loretto, Ontario. Her children’s book, “How Robin Saved Spring” (Henry Holt, 2009) was redistributed in Chinese in 2013. Her teen novels for reluctant readers are: “A Hero’s Worth”, “Legend of the Ring” and “Wave” (HIP Books, Toronto). Debbie has had over 50 poems and numerous short stories and articles published in anthologies, mainstream magazines, educational publications and literary journals across North America. In 2012, Debbie was awarded the City of Vaughan Rave Award, Mentor in the Literary Arts for her ongoing work as Chair of the Vaughan Poets’ Circle. To learn more, visit www.debbieouellet.com.